Timothy Ambrose O'Brien was born on 25 August 1904 in Palmer, Saratoga County, New York. Timothy John O'Brien and Julia A. Casey appeared in the New York state census of 1 June 1905 in Corinth, Saratoga County, New York. Other members of the household included Timothy Ambrose O'Brien, Mary Agnes O'Brien, Anna O'Brien, John J. O'Brien and Ella K. O'Brien. Anna (?) appeared in the US federal census of 15 April 1910 in Corinth, New York. Other members of the household included Timothy Ambrose O'Brien, Timothy John O'Brien, Julia A. Casey, Mary Agnes O'Brien, Anna O'Brien, John A. O'Brien and Elizabeth Julia O'Brien. John Joseph Finn appeared in the US federal census of 1 January 1920 in St. Johnsville, Montgomery County, New York, at 30 Center Street. Other members of the household included Timothy Ambrose O'Brien. Tim is identified as a cousin, attending school. Lillian L. Hoffman appeared in the US federal census of 1 April 1930 in Niagara Falls, Niagara County, New York, at 1640 Eighth Street. Other members of the household included Timothy Ambrose O'Brien, Earl Byron Strowger. There were four male roomers in the household, including Tim O'Brien and Earl Strowger. He was employed as a pigment chemist, according to the 1930 census. He married Marion Elizabeth Woolcock, daughter of Charles Jay Woolcock and Ada Anna Kammerer, on 22 April 1935 in Niagara Falls, Niagara County, New York, at the Sacred Heart Church. Timothy Ambrose O'Brien appeared in the 1937 Niagara Falls, New York, City Directory at 2219 15th Street listed as a teacher at LaSalle Junion High School.. He was an elementary school teacher, according to the 1940 census. The following appeared on 24 June 1955 in the Niagara Falls Gazette: Timothy A. O'Brien, 49, of 916 Van Rensselaer Ave., principal of Gaskill Junior High School, today was described as in "fair" condition at Memorial Hospital, where he was admitted late yesterday afternoon after being stricken ill. The following appeared on 7 December 1958 in the Niagara Falls Gazette: Timothy Ambrose O'Brien has literally bicycled down the road of education. Mr. O'Brien, 53-year old principal of Niagara Falls High School, can back this claim with his early experiences as a teacher in a country school located near the small upstate paper mill town in which he was born. His birthplace was Corinth in the Adirondacks. "I recall grabbing my lunch, hopping on my bicycle, and after stopping at a roadside well for water for my students, pedaling 15 miles to a country schoolhouse to teach 12 pupils in six grades," he reminisced. He was 17 at the time. A summer course at Oneonta Normal School after his graduation from Corinth High School prepared him for his first teaching job, which lasted two years. In 1924, Mr. O'Brien enrolled at Niagara University. He graduated in 1928 with a bachelor of science degree in chemistry. While at Niagara he was editor of the Niagara Index during 1926-27. Niagara still holds many fond memories for him. Upon graduation, he took a job in the research lab of the former Titanium Pigment Co. But due to the vagaries and uncertainty of industry during those depression-ridden years, he turned to the field of education. 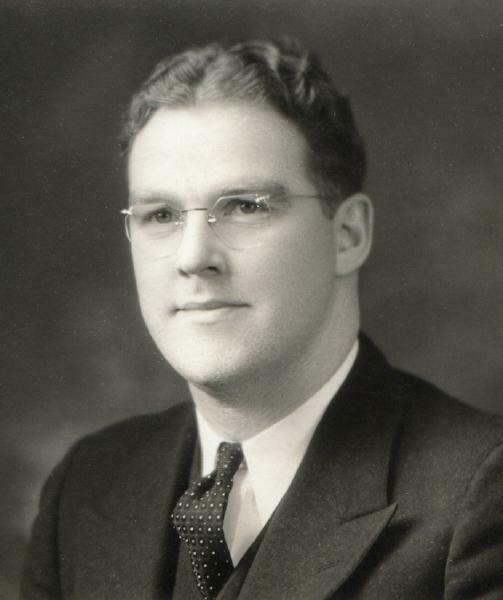 He joined the faculty of the new LaSalle Junior High School in 1931 as a science teacher. He thus became a pioneer member of the LaSalle faculty and also was the first to introduce the various sciences, with the exception of biology, to the school. He received his master of arts degree in school administration in 1939 from Albany State Teachers' College after four summers of graduate work. His theses, a history of the secondary school systems in Niagara Falls, Lockport and North Tonawanda, is on file in the State Education Department. His teaching at LaSalle lasted until 1945 when he was made vice-principal of the school. In 1949, while still retaining the office of vice-principal he moved to Niagara Falls High School. In 1951 he moved to Gaskill Junior High as principal. While at Gaskill, he was responsible for organizing the cadet guidance program, now being set up in other schools. The program allows teachers interested in guidance work to pursue studies leading to certification in guidance counseling. His appointment as principle of the city's largest high school came in November 1957. His responsibilities include jurisdiction over 1200 junior and senior high school students and 87 adults, 61 of whom are teachers. The field of education has always, in one way or another, shaped the circumstances of Mr. O'Brien's environment. His mother and two aunts were teachers. Of the seven children born into the family, two sisters are former teachers, one is controller of a private girl's school, and one brother is a teacher. His wife, the former Marion Wollcock of this city, now teaches French at Lewiston Porter High School. Her father, Charles Wollcock, taught French at Niagara Falls High School. Mr. O'Brien has three children, Jane, 11, Charles, 23, and John, 19. John, incidentally, is now a sophomore at Niagara University and, quite without surprise, is enrolled in the School of Education. Mr. O'Brien's obvious enthusiasm for the teaching profession is wrapped up in his statement, "I never went into a classroom that I didn't enjoy." He is a staunch defender of the youth of today and believes sincerely that their future is determined by the educational standards of the schools. "The youth today are 99 per cent no different than 20 or 30 years ago," he said. As an example, he cited the students of Niagara Falls High School as "a representative group who are capable, cooperative, sincere and most concerned about their futures." He says that college is a "necessity" today and a place exists in college for any boy or girl who wants to go there. "Colleges are not filled," he declared, "but on the contrary are always waiting." Mr. O'Brien registered concern over the science program in the schools, now more than ever highlighted by the recent Russian advances in the field. "Greater emphasis is needed on science," he said. "Perhaps we, as school people and educators were negligent in not stressing the great dependence of our civilization on science. In the 20s and 30s, as technological advances were being made, the proposal was to adjust students to science," he stated. "But then the public demanded that the schools turn out a more socially rounded person," he said. Science was neglected. "Schools must lead but at the same time we must follow what the public wants," he said with a faint smile. At Niagara Falls High School, in line with his feelings on the matter, a modern laboratory is being installed. Advanced courses in physics, chemistry and mathematics are geing gtiven. The impetus for these moves is directly attributed to the Russian gains. Foremost on his immediate agenda are plans for the complete refurbishment of high school. He also feels that a "re-evaluation" of many of the high school programs is necessary. "One of my great concerns is the need for a curriculum revision of the studies being offered to the non-college student. At present Niagara Falls High School is looking into some facilities which would be necessary to offer this type of program," he said. His desire to see many of these aims accomplished is not confined within the walls of his office. He takes them out of the principal's chambers and voices them through his many affiliations with state and local educational groups. His list of offices runs high. He is a member of the Niagara Falls Teachers Assn., and the Secondary School Principals Assn. of New York State. He is the former president of the Niagara Falls Secondary Principals Assn. and holds the vice-presidency in two groups, the executive council of the Niagara Frontier Athletic League and the Niagara Falls Secondary School Athletic Assn. He is also a member of the educational advisory committee of the College of Nursing at Niagara University, a former vice pressident of the Kiwanis Club and has worked on the Community Chest as chairman of the schools division. In 1954-55, seven principals were selected by the New York State Education Department to evaluate the early secondary school program in the state. Mr. O'Brien was one of them. As a result of the survey, recommendations were made implementing the wishes of the State Education Department. Apart from his achievements in developing youth, Mr. O'Brien finds time to enjoy one of his main interests, horticulture. His office at NFHS attests to this. The north window is cluttered with pots of the healthiest geraniums in the area. He delights in his program of experimental feeding -- potash for this one, strictly nitrogen for the tall spindly specimen. Verdant classrooms all over the building prove his green thumb gift. His summer home at Long Beach, Ont. on Lake Erie takes up most of his weekends from May to November. When not at home at 914 Van Rensselaer Ave., the O'Briens can usually be found at the lake. His love for the summer retreat has continually pushed to the background plans he and his wife make for a trip to Europe. To him, there is something magical about a boat, a fishing pole, and an open lake. As long as Timothy O'Brien remains in the field of education the Niagara Falls school system and more particularly the students of its high schools will have the services of a quiet, steady and capable individual, interested only in molding to the highest ideals the minds of tomorrow's citizens. The following appeared on 21 November 1963 in The Times Record: John A. O'Brien, 56, of 156 East Ave., Saratoga Springs, died today at Saratoga Hospital following a long illness. Mr. O'Brien was director of recreation for the New York Racing Assn. at Saratoga Race Track and also at Delaware Park. He was a mathematics teacher at Saratoga High School for 32 years. Mr. O'Brien, a native of Corinth, moved to Saratoga when he commenced teaching in that city. He was formerly baseball coach for Saratoga High for 10 years and was former director of physical education for St. Peter's Academy where he coached basketball, baseball and football. Mr. O'Brien was a graduate of Niagara University. He was a past president of the Saratoga Springs Teachers Assn., and was a member of the Saratoga Lodge of Elks. He is survived by his wife, the former Patricia Bacon; two sons, Ensign Terence J. O'Brien, USN, and Thomas C. O'Brien of Saratoga Springs; three brothers, Timothy A. O'Brien of Niagara Falls, William E. O'Brien of Syracuse and Joseph C. O'Brien, U.S. Army, and three sisters, Mrs. William Whalen of Middletown, Miss Anne O'Brien of Richmond, Va., and Mrs. William Sesselman of Corinth. Marion Elizabeth Woolcock became a widow at his death. Timothy Ambrose O'Brien died on 6 March 1986 at age 81 in Hillsborough County, Florida. He was interred at St. Stephen Parish Cemetery, Grand Island, Erie County, New York.